ANGIN (Angel Investment Network Indonesia) officially splashed a cash for Kakoa Chocolate, a local chocolate producer and e-commerce platform. This is Kakoa Chocolate (Kakoa)’s second funding, after the startup sealed the seed funding from LGT Venture Philantrophy (LGT VP). Kakoa was established under Lampung-based PT. Aneka Coklat Kakoa. The company is a local chocolate producer which deals with the choco making process, starting from beans to choco bars, as well as partners with local small-scale choco farmers. Kakoa also aims to build the awareness towards Indonesian chocolate product, as Indonesia is one of largest chocolate producers on earth. Within its production process, Kakoa cuts the supply chain off, something conventional chocolate companies normally apply, by integrating end-to-end production, which process cocoa beans after purchasing them straight from the farmers. A regular choco bar we usually find in market has got through several parties. This long and complicated supply chain reduces the amount of incentive that farmers collect. Kakoa’s CEO and Founder Sabrina Mustopo realized this situation and perceive it through her entrepreneur point of view. “I believe that there is a way to run business better, and am encouraged to make it becomes reality,” she said. Mustopo then founded Kakoa in 2014 as a 100% Indonesian choco producer. Her Cornell University graduate decided to involve herself into the chocolate trade in Indonesia. 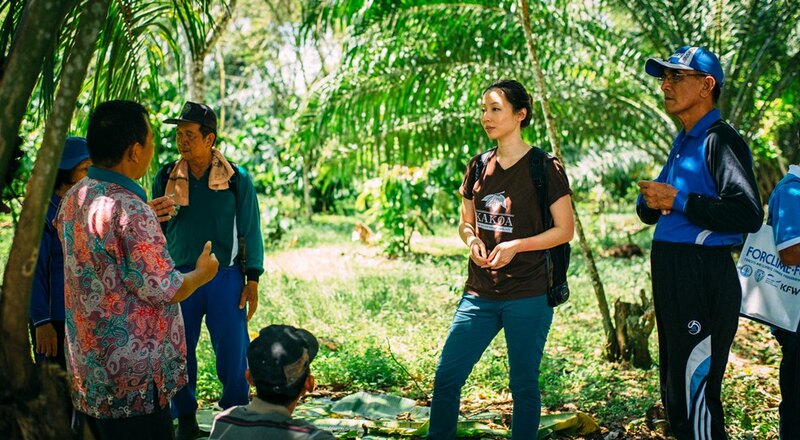 Relying on her degree in agriculture and rural development, Mustopo was called upon to implement what she studied in order to generate positive results for Indonesian chocolate farmers. Kakoa possesses the vision to fix Indonesian farmers’ quality of life, improve the Indonesian choco profile in international market, and contribute to the creation of economic value in Indonesia. With her experience at McKinsey, Mustopo has got used to involve in business that she understands the challenges well enough. “I started Kakoa off because I saw that there are plenty of challenges in chocolate sector waiting to be solved, but it doesn’t foreshadow the huge potential it has once the business practice in it gets fixed,” Mustopo said. In order to undestand the farmers’ condition and necessities, Mustopo often involves herself and directly interacts with Kakoa’s partnering farmers. She also sealed a deal with WWF in providing conservation & sustainable livelihood workshop to a number of cocoa bean farmers in Lampung. The workshop aims to provide knowledge and practice to farmers so that they’re able to improve their production quality and quantity. Kakoa will also buy good quality cocoa beans 50-100 percent higher than the market price. The startup guarantees that all of its production phases are completed in Indonesia so that it can contribute to national economic stability by opening new job opportunities. Kakoa’s capability to compete in the market and the social effect it creates have drawn the attention of LGT Venture Philantrophy and ANGIN, thus resulting on investment by those two. 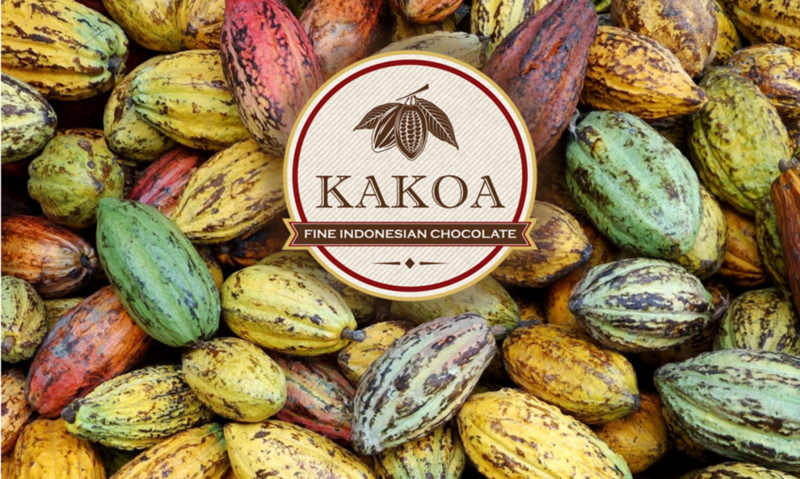 Kakoa Chocolate plans to utilize the funding for empowering more than 1000 Indonesian farmers by 2018. The next Kakoa’s target would be to expand its project to other parts of Indonesia. Not only to reduce the additional cost which follows chocolate trade, but also to process cocoa beans into consumable products so that the additional value and job opportunities can be widely generated. Not only for the farmers, but also for their surrounding as well.